Minimum quantity for "Double Phoenix Prawn Crackers No Added Colours" is 1. Ingredients: Starch (Tapioca), Prawn Meat (4%), Sugar, Salt, Flavour Enhancer (E621). Prawn crackers are also known as shrimp chips. These light and crunchy crackers simpy need to be fried in hot oil for a few seconds until they 'puff' into shape. 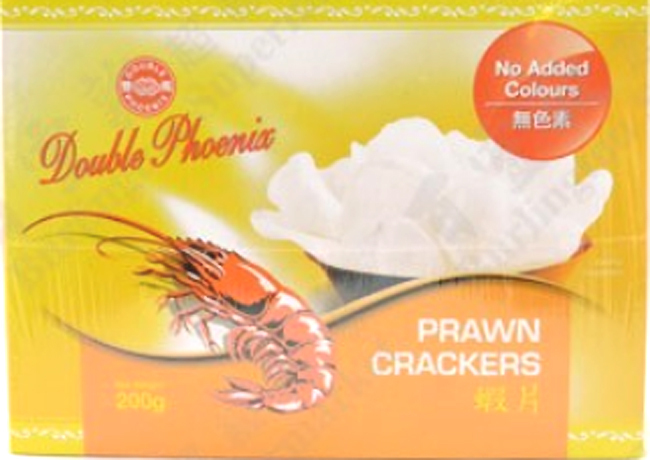 Double Phoenix Prawn Crackers can be used as a cooking decorative of Chinese dishes or as finger food.